Clicks Gone Wild offers two exciting options to learn how to get the most out of your digital camera. We have our popular Clicks in Your Home Program or One-on-One instruction of our beginner, intermediate and advanced level courses which are taught throughout Arnprior, Renfrew and the surrounding area. More information about us and our courses can be found in the links above. Send us an e-mail at clicksgonewild (at) gmail (dot) com to book your course with Clicks. That's right! Have two professional photographers come to you with one or more of our courses, awesome tips and knowledge of photography. Our home hosting package is extremely popular across the Valley and beyond as the best way to spend a couple of hours learning many of the useful buttons and functions on your digital camera and the artistry of photography. We love teaching groups of friends, family, and co-workers all about how to take better photos from the comfort of their own home. We bring our laptop with the same slide presentation as we teach in our public classes, monitor and everything else needed to take our classes on the road. What is the cost of Clicks In Your Home? The cost per person for our courses is the same as with our public classes: Focus on the Features, $50, Focus on the Frame, $50, or Step It Up Shutterbug, $75 per person. The Magic of Manual Mode, $215 per person, can now be arranged through Clicks In Your Home. It depends on which course(s) you choose. Our beginner courses, Focus on the Features or Focus on the Frame each require a minimum of 5 participants. Our intermediate course, Step It Up Shutterbug needs 4 participants. The advanced course, The Magic of Manual Mode requires a minimum of 3 participants. We always recommend that you round up at least one more participant than the minimum requirement to avoid possible disappointment of a cancelled course if one of your guests cancel for any reason at the last minute. There is a lot of interest in my Clicks In My Home. What is the maximum number of participants for a course? The maximum number for Focus on the Features, Focus on the Frame, or Step It Up Shutterbug is 10. The maximum number for The Magic of Manual Mode is 8. A larger class does not detract from learning. Simply add 15-20 minutes on to the length of a course with larger numbers. What are my options if I cannot find the minimum number of participants for Clicks In Your Home? We can still teach Clicks In Your Home courses for the same fee that is required for the minimum number of participants. Calculate the cost by referring to the above question re. minimum participants. For example, Focus on the Features, with a minimum of 5 participants paying $50 each is $250. So if you had 4 participants, the 4 of you could split that total fee and we can still come to you on an agreed-upon date. As well, there is always the option booking us for private tutoring. Either way, we're available to teach you all this wonderful information! Is there a travel fee for you to come to us? What dates and times are you available to teach? Clicks In Your Home gatherings for any one of the following: Focus on the Features, Focus on the Frame, or Step It Up Shutterbug, are booked on week-day evenings or week days during the day. Each of these courses is 2 - 2 1/2 hours in length. Clicks In Your Home gathering for The Magic of Manual Mode are booked on weekends or week days during the day. If you are considering one of the last two options for weekend dates, please be advised that we are sometimes booking 3 to 4 months in advance for weekend dates, so if you have a preferable date, contact us right away for availability or possible cancellations. What are the advantages to Clicks In Your Home? You do not have to wait for a public course time that suits you and your friends. It is also advantageous to learn with a group of supportive friends, who will be there for you in the following weeks as you practice new concepts. We love Clicks In Your Home! These gathering are always relaxed, informative and fun. I would like to host Clicks In Your Home. 1. Choose a course from Focus on the Features, Focus on the Frame, or Step It Up Shutterbug. NEW: You can now also host The Magic of Manual Mode as a Clicks In Your Home course. 2. E-mail the Clicks and we will work on a date that best suits you and us. (Please see the above question re. available dates and times.) We will then leave it in your hands to spread the word and find out who's interested in taking the course you are offering. E-mail your friends with the information, tell your Facebook friends you are hosting a Clicks in Your Home party, etc. 3. As the host, you are required to collect full registration fees and submit payment to us three days prior to your course date. 4. Make a pot of tea and sit back and relax as Rhonda and Gemma come to your home (or other agreed-upon location) and teach you and your friends a plethora of photography-related information in a relaxed and fun environment!! 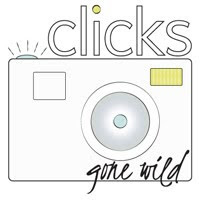 Clicks Gone Wild is your resource for digital photography instruction in the Ottawa Valley and surrounding areas. Taught by professional photographers Gemma Robillard & Rhonda McMaster, their comprehensive courses are perfect for any digital camera owner - from beginner to more advanced level skills. What is Kickstart Your Clicks For Spring?